Nearly a decade after her husband’s affair drove her back home to South Alabama, Jessie McBride has the stable life she wants—operating her garden shop, Twig, next door to her house on Glory Road, and keeping up with her teenage daughter and spunky mother. But the unexpected arrival of two men makes Jessie question whether she’s really happy with the status quo. When handsome, wealthy businessman Sumner Tate asks her to arrange flowers for his daughter’s lavish wedding, Jessie finds herself drawn to his continued attention. Then Ben Bradley, her lingering what-could-have-been from high school, moves back to the red dirt road, and she feels her heart pulled in directions she never expected. Meanwhile, Jessie’s fourteen-year-old daughter, Evan, is approaching the start of high school and navigating a new world of emotions—particularly as they relate to the cute new guy who’s moved in just down the road. At the same time, Jessie’s mother, Gus, is suffering increasingly frequent memory lapses and faces a frightening, uncertain future. Once again, Jessie feels her protected and predictable life shifting. Born and raised in Mobile, Alabama, Lauren now lives with her husband and two daughters in Homewood, just outside Birmingham. In addition to her fiction, she writes a monthly newspaper column about life, faith, and how funny (and hard) it is to be a parent. On any given day, she’d rather be at the beach with her family and a stack of books. Her debut novel, THE HIDEAWAY, was a Wall Street Journal, USA Today, and Amazon Charts bestseller. 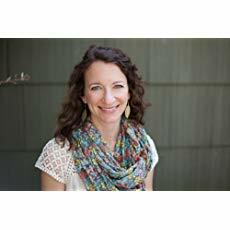 Her second novel, HURRICANE SEASON, released in spring of 2018, is a USA Today bestseller. 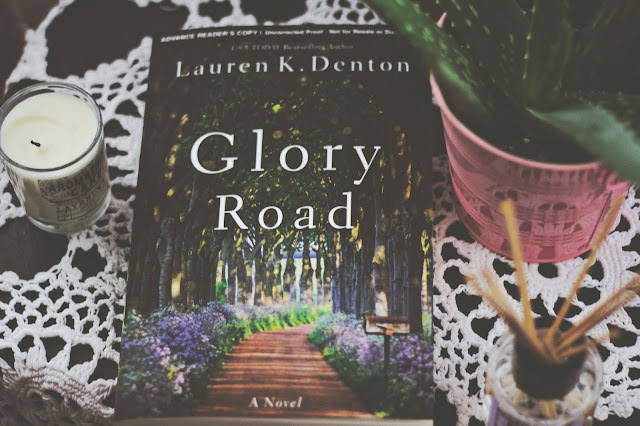 GLORY ROAD will release in March, 2019. You know those feel good, sweet stories that you start reading and immediately feel a connection to? This is one of those. I picked it up, read the first page and was immediately interested and drawn to Jessie and her daughter Evan. I remember the first thing I thought was that Evan was such a different name for a girl. So, Jessie is a divorced mom of one, Evan who is 14 years old. 10 years prior, her husband had an affair which ended the marriage, and Jessie packed her belongings and moved back to her home town in South Alabama. She has since started a garden business and is quite content in her life, but as always the universe tends to throw a little wrench when things seem to be going well, and in her case, that wrench comes in the shape of handsome Sumner and just when she thinks her heart is headed his way, there comes Ben, the one that got away in high school. It was interesting reading about Evan and everything she is going through as a teenager, I myself have a 16 year old and I know how difficult these high school years can be for the kids. Jessie's mother on the other hand is struggling with her very own serious issues, a decline in health and possible Alzheimers which she is trying to hide from both her daughter and granddaughter. I love the multi generational story and found myself rooting for each woman and their relationship as a family. I have this one on my list to purchase when I get to the bookstore to spend my gift cards! Thanks for being on this tour!